The first Frogspawn we’ve seen this year was at College Reservoir, Falmouth, Cornwall. 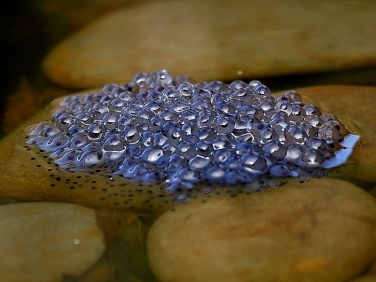 Insight: Clumps of Frogspawn may contain as many as 2,000 eggs. However, very few of the emerging tadpoles will survive to become adult frogs. Disease, drought, predation and frost will kill a high percentage. Where there is an abnormally high survival rate and an area of water becomes over crowded then few of the tadpoles will develop into frogs.